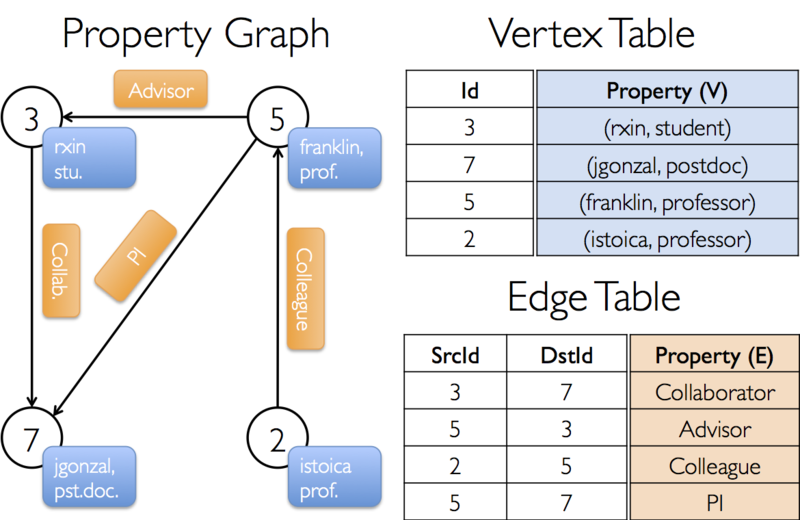 If you look into Graph.scala carefully, you would find method apply which can be used to construct a graph from a collection of vertices and edges with attributes. Duplicate vertices are picked arbitrarily. The vertices which are in edge collection edges but not in the input vertices collection vertices are assigned the defaultVertexAttr. The storage strategies can be assigned by designating edgeStorageLevel and vertexStorageLevel. Finally, method apply calls GraphImpl to complete the construction. // Assume the SparkContext has already been constructed. Unnecessary in spark-shell. It can be inferred that the constructor of class Graph calls org.apache.spark.graphx.impl.GraphImpl through method apply. Let’s count how many post doctors there are. It returns res1: Long = 1 which is Vertex 5 --> 3. Likewise, using the following codes can view the collections of vertices and edges.